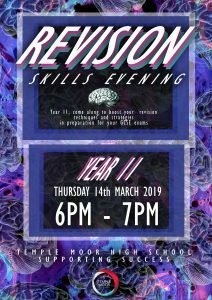 Thank you to everyone who came to the Year 11 Supporting Success Evening on the 14 March 2019. Below you can download the presentation that we delivered, including the list of apps, five different revision strategies and the strategies to cope with exam stress. We hope you find them useful. 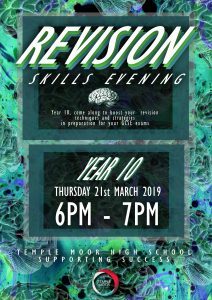 Thank you to everyone who came to the Year 10 Supporting Success Evening on the 21 March 2019. Below you can download the presentations which were delivered by staff on the evening. We hope you find them useful.